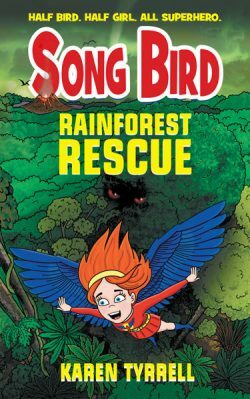 My 9th children’s book, Rainforest Rescue educates kids on indigenous culture, mythical creatures, bush tucker and positive role models. So excited! I present interactive book reading and author events for children and grown-ups in libraries, bookshops, schools and at a writer’s festival. Children will receive a free rainforest eco warrior goody bag courtesy of Queensland National Parks (while stocks last). Come to the launch of Rainforest Rescue with interactive multi-media storytelling, a dramatic experience in Superhero costumes and surprises. 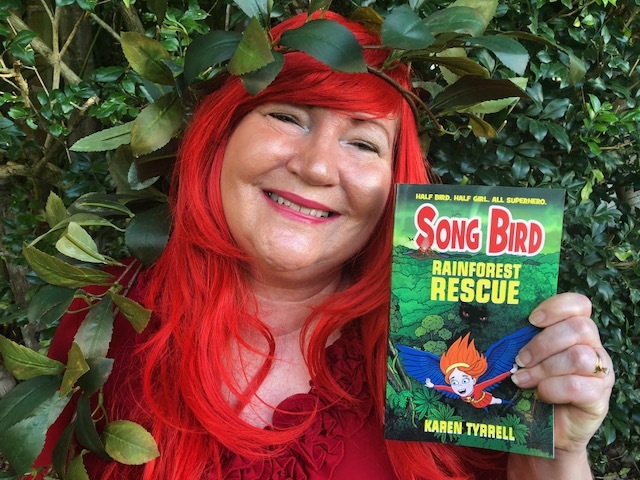 Meet Karen Tyrrell AKA Song Bird Superhero (author) Trevor Salter (illustrator) Aboriginal elder Uncle Barry Watson (cultural advisor) and Steve Tyrrell AKA mythical creature from Rainforest Rescue (guest author). 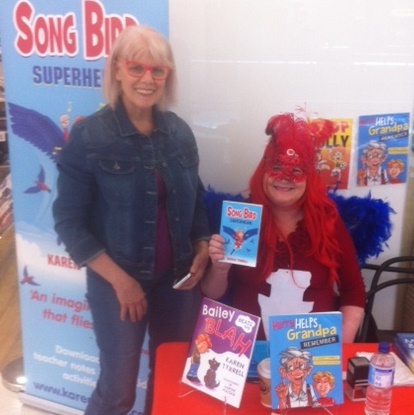 Come dressed as Song Bird, a superhero or something Rainforesty or mythical. 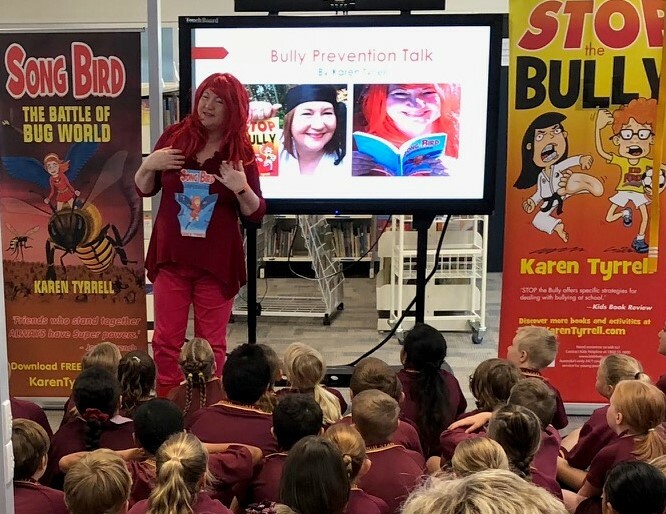 During book week, I’ll be visiting schools in Logan, Brisbane Ipswich and the Gold Coast. Steve and I perform interactive pantomimes and author talks plus we present writing workshops. 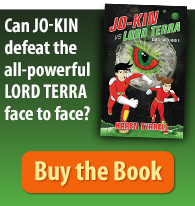 Plus, I personally autograph every book ordered at schools. 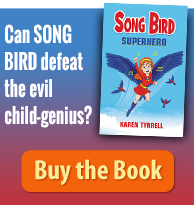 Meet Karen Tyrrell author AKA Song Bird Superhero and Steve Tyrrell AKA mythical creature from Rainforest Rescue. FREE Rainforest eco warrior bag with every purchase. 15 SEP 10-5 I’m the key note speaker on Book Marketing at West Words Fest, Outback Cultural Centre, Dubbo. Steve and I are presenting detailed book marketing strategies. Come to Rainforest Rescue interactive multi-media storytelling, dramatic readings in Superhero costumes … and surprises. 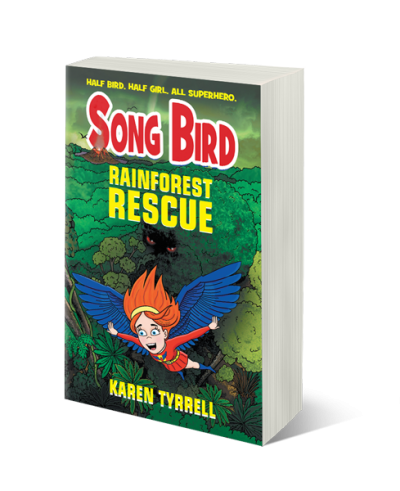 Meet Karen Tyrrell AKA Song Bird Superhero (author) and Steve Tyrrell AKA mythical creature from Rainforest Rescue (guest author). I will post you a signed copy of Rainforest Rescue anywhere in Australia. Which Book Signing Rainforest Rescue event will you attend? Love to meet you. Please RSVP to links above. 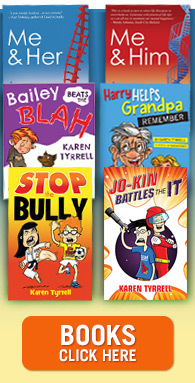 I cannot wait for the launch, my kids are so excited, I’ll book into the library today. Good luck Karen, such a wonderful topic, we all love Rainforests and superheroes!. See you soon. Thanks again for your SUPER Support and SUPER wishes. CYA at my next SUPER hero event.